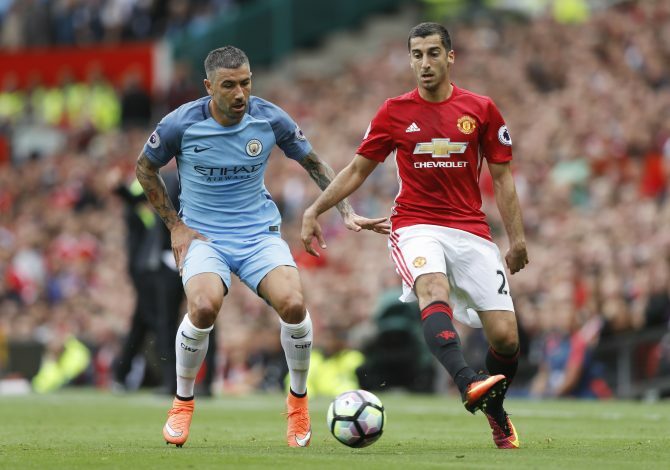 Jose Mourinho has claimed that Henrikh Mkhitaryan has finally been able to show “other things” he wanted to witness beyond the “magic” and explained how he initially left the Armenian out of the Manchester United squad to “protect” him. The 28-year-old playmaker was used as a genuine No.10 in the middle of the team’s convincing 3-0 win away to Leicester City, and it proved crucial while Mkhitaryan showed some sparkling displays to score the first goal and then assisted Juan Mata’s second-half strike. The former Dortmund star’s solo effort, skipping Robert Huth and leaving behind Wes Morgan for pace, was his fifth of the season. Mkhitaryan seemed the most high-profile name among the number of players – including Anthony Martial – that Jose Mourinho has conspicuously benched in his debut season at Old Trafford, and his latest comments should be interpreted as a clear message as much as an explanation for Mkhitaryan’s resurgence. “Sometimes, the best way to protect the players is not to play them,” Mourinho was quoted by the M.E.N. “I think in your chair, your perspective is always … if a player is not playing, the manager is, I cannot say the word, I have to find a different word … the manager is disturbing him but it’s not true. “Sometimes we don’t play players and we protect them and Mkhi [Mkhitaryan] was one of these players. He was being protected. And he was adapting.